Ubuntu 18.04 LTS for ODR.. Visual Studio Code on XU..
PUBG on ODROID-XU4 and h..
Android 8.1 Oreo for ODR..
Ubuntu 18.04 Bionic comes with Qt 5.9.5 by default. But, Canonical has built it without considering the ARM Mali GPU detection and Qt5 didn't work on Ubuntu 18.04 at all. So we have to build the Qt5 source code manually. Here is a quick and dirty build guide. I tested on the latest XU4 Ubuntu 18.04 Bionic image. Install build-depends and source code. Edit a file for correct detecting the ARM's Mali GPU. Another file should be edited to avoid a compile error. I wasted several hours to find this simple solution. Create two symlinks for proper OpenGL-ES detection. This fix will be included in the next update probably. I met this error when I ran it on a SSH session. Project ERROR: QtDBus is enabled but session bus is not available. Please check the installation. When I built it on the Mate desktop terminal instead of the remote ssh access, the build had no issue. It is still not understandable. After 2~3 hours of boring build time, the "debian packaging" failed due to a missing PGP key. But all the Qt5 libraries with examples were generated correctly and I could install them with sudo make install command. Qt-OpenGL example works beautifully now. We will test the stability and functionality for a couple of weeks. If there is no critical issue, we will release it officially. Feel free to post your idea on the forum thread. OpenCV (Open Source Computer Vision Library) is an open source computer vision and machine learning software library. Qt5 framework is used with OpenCV for image processing visualization as well as interactive user interface. Calligra : It offers a comprehensive set of 8 applications which satisfies the office, graphics and management needs. Word, Presentation, Spreadsheet and many more. Simply run "sudo apt install calligra-libs" command to play with it. Calibre : It is a powerful and easy to use e-book manager. Simply run "sudo apt install calibre" command to read tons of great e-books. Stellarium is a free open source planetarium for your computer. It shows a realistic sky in 3D, just like what you see with the naked eye, binoculars or a telescope. Running "sudo apt install stellarium" is enough to enjoy the virtual sky on your ODROID-XU4. Krita is a professional and open source painting program. It is made by artists that want to see affordable art tools for everyone. Unfortunately, Krita for ARM platform in Ubuntu 18.04 PPA was broken and it will be fixed by Canonical soon. It is available in Ubuntu 16.04 PPA only. We've proudly released a new Ubuntu 18.04 image for XU4 series with many useful features. This LTS version will be supported until April of 2023. Very powerful ARM streamline performance analyzer feature was included too. You can download the OS image from this link. We want to test this image with our forum members for a couple of weeks. After fixing some issues, we will prepare a minimal image too. ODROID-C2 and C1 Ubuntu 18.04 images will be available in early June hopefully. Karts. Nitro. Action! 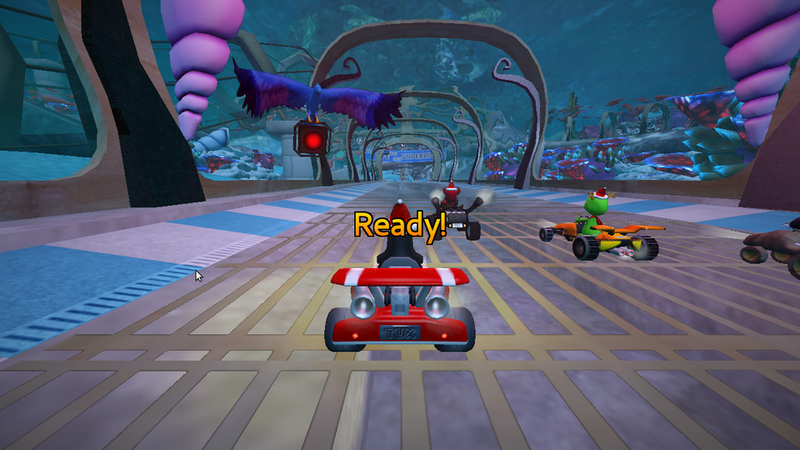 SuperTuxKart(STK) is a 3D open-source arcade racer with a variety characters, tracks, and modes to play. 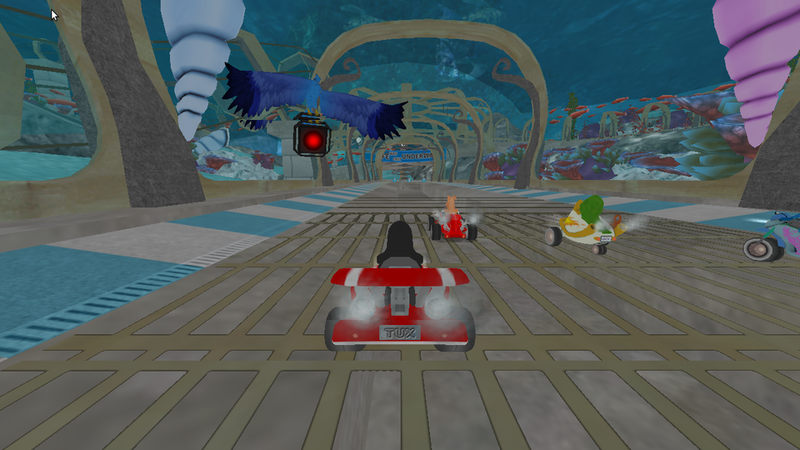 SuperTuxKart is a free kart racing game. It focuses on fun and not on realistic kart physics. Recently, STK developers updated their source code to support the OpenGL-ES 3.x and we can play the nice game on the ODROID-XU4 natively. Let's try to compile the source code and build it! This instruction was tested on the official Ubuntu 16.04 image version 20171212. If you are an OGST image user, simply install it with "apt-get install supertuxkart-odroid". 1. Install required packages to build the source code. 2. Download the latest STK source code from the official Github. You have to download the game assets too from SVN. It took quite long time. 3. Apply a patch to fix the color depth issue and OpenGL ES 3.x support. The patch was made by @AreaScout forum member. Compiling took around 30 minutes. Run the game with this command since 720p mode shows much better performance than 1080p. OpenGL ES 3.x shows more detail and beautiful 3D rendering than 2.0. Look at the racing circuit floor. ODROID-XU4 CPU has four 2Ghz big cores and four 1.4Ghz LITTLE cores. It also has six GPU cores as well as 2GByte DRAM on the SoC with a package on package(PoP) process. So this tiny SoC power consumption can be up to 10 Watt and it generates a lot of heat. Therefore, we had to attach a cooling fan to the SoC to minimize the thermal throttling. Once the system boots, the cooling fan runs at full speed by the u-boot(bootloader) initialization code. When the Linux Kernel runs, the thermal management driver controls the fan speed automatically. There are three threshold points 60��C, 70��C and 80��C. The fan speed value is connected to 8bit(0~255) PWM control register. When the SoC temperature is lower than 60��C, the fan doesn't rotate. If you need to adjust the temperature threshold values, just modify the thermal control nodes in sysfs. For example, if you want to set trip point 1 to be activated at 30��C, you can just write a value on them. Then the fan starts spinning at 30��C. If you want to do that automatically, write some code in the /etc/rc.local file. Copy the following codes and paste. Reboot and check if the changes applied well or not. If you want to change the fan speed values in trip points, modify this system node. You can check current fan speed scaling. You can adjust these values by writing value set to the file. If you want to make your fan more aggressively, you can write like below. You can also control the fan speed fully manually. If you need further information, refer this WiKi page. Voodik has been porting Android 8.1(based on LineageOS 15.1) for ODROID-XU4 from last October. Finally, he has released the first Alpha version for Debug Party. - Bluetooth Sink mode doesn't work. - Some problems with Play Store(when App download stuck with "Download pending" message, just kill Play Store from recent apps and open again). - Also not all ODROID specific features are ported at this point (e.g. Mouse wheel to zoom etc). Works in progress. Antutu benchmark score looks great. Feel free to join the Debug party.